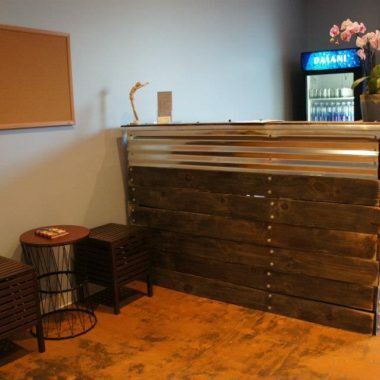 General Contractor: Herr and Co.
Harrisonburg Hot Yoga is a locally owned yoga studio with a twist – it is performed under hot and humid conditions. From a design standpoint, the interior finishes are clean and simple. From a building science lens, this is one of the more complicated projects we have taken on. Having a room that will be heated to 104 °F and 40% humidity in an existing building presents many challenges. We were able to partner with Herr and Company and Elite Insulation to develop a solution that protected the structure. Harrisonburg Hot Yoga is an excellent example of our approach to collaborative design.